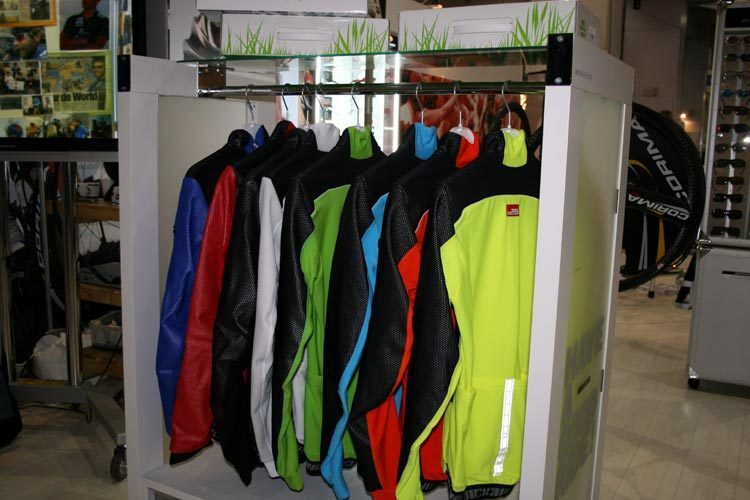 Just in time for winter, Assos has expanded its excellent Airblock jacket range with these eye catching pastel colours. 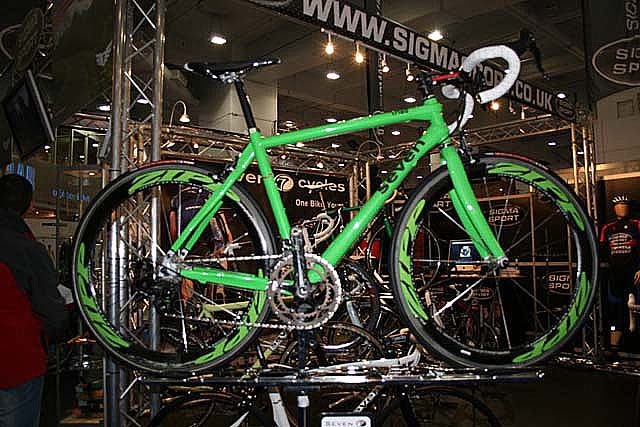 Sigma Sport was showing off this rather eye catching lime green Seven Triad road bike. 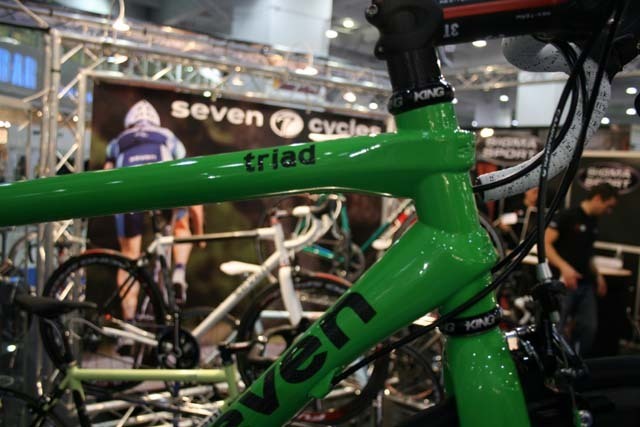 We guess it’s something you’ll either love or hate! 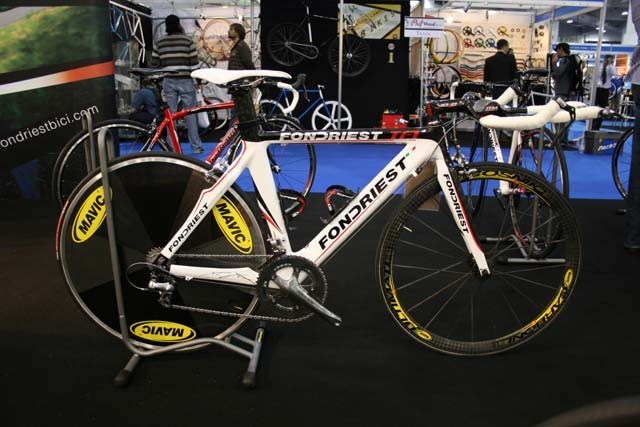 They’ve been absent from the UK for a while but Fondriest have made a return for 2009. 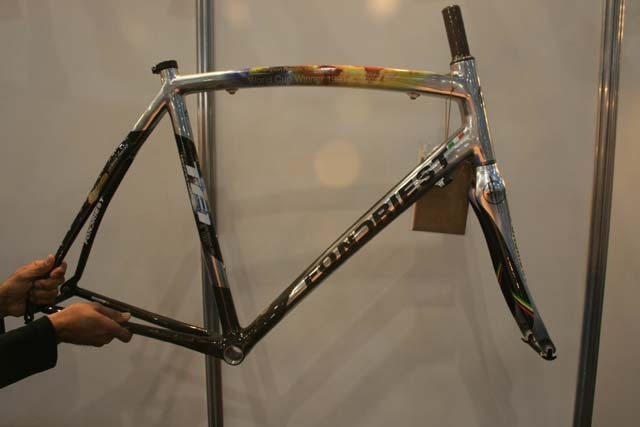 The top of the range TF1 available in either black, white or this limited edition paint scheme celebrating 20 years since his World Title win in 1988.